Another series has come and gone, so it's high time I gave it one last hurrah before moving on to what the 70th anniversary celebrations have in store! A little note before we start. Since some of these episodes aired five months ago, some of my opinions and scores might have changed around a bit, but on the whole, they're still pretty similar. I'll also be discussing these in order from my least favourite to my most favourite. Finally, I will (hopefully) clarify some things I didn't really pick up on during the initial reviews, or others that have been brought up by fans either on my reviews, on Twitter or episode uploads from YouTube and Dailymotion. We kick off where the series left off. I don't know what it is with this team, but it seems like they can't do series finales. While The Afternoon Tea Express wasn't the worst episode of series 17, it was the most average. This one was just bad, and the sad part is it's really easy to fix. 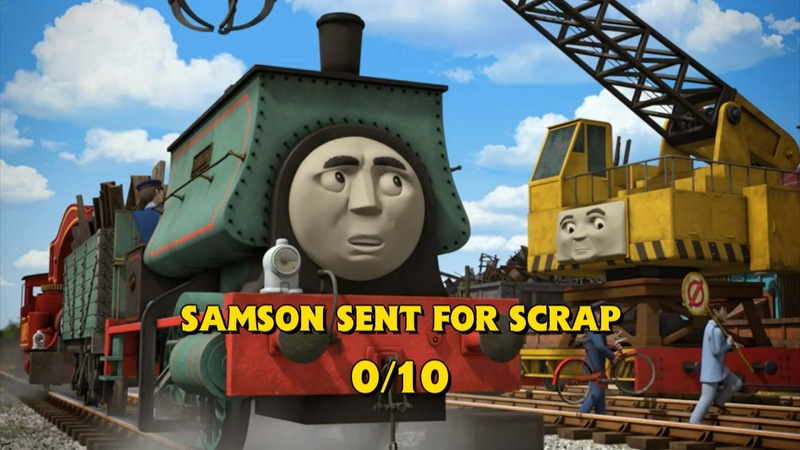 With the addition of transitions and maybe some dents on the car and the bike - making Samson seem less stupid - this could have been good! But they dropped the ball completely. Yes, I agree with the majority that it was nice not to see any of the Steam Team here. It's a breath of fresh air, and I'd love to see more episodes that have no Steam Team members in the future. But I've said it in my Samson At Your Service review and I'll say it here: unless they have a bearing on the plot, the cast of characters does not factor into my reviews. And for me, the cast they chose here, and the story that was told with them, had a negative effect on it. Wow, the filler... This episode did have its moments, but the run time just felt far too long for the story they wanted to tell. This would've been bearable if the conflict wasn't so weak. 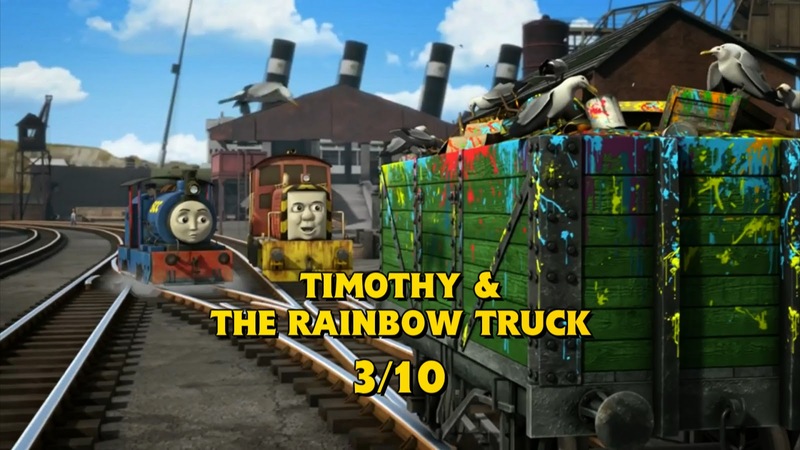 I would have preferred the twins making up a stupid excuse for Timothy finding the rainbow truck, but they don't; instead relying on the fact that its colours are unique. And considering how suspicious Timothy was of the twins when they brought it up, I find it hard to believe he'd be gullible enough to believe them without solid reasoning. Well, what do you know? Andrew Brenner has a dud in him as well! For me, this was his biggest disappointment, as I thought he'd have ironed out all of the errors in his work over 20 years of writing experience, one of which was spent as a head writer of Fireman Sam, and one of his stories for this show being Too Many Fire Engines. So to see the fire where it was, regardless of Millie's retribution, was inexcusable. And it's a shame, too, as the character interactions were really good for the most part. For me though, this review showed that I can accept opinions. Originally, I liked this episode quite a bit. I gave it an 8/10 and everything. But after a discussion on Twitter with Thomasfan from the Thomas Wikia, I realised how flawed the episode was, and how big they were. For me, it's simple. I'm willing to listen to any opinions, as long as they're well thought out and you can back them up. If neither of these criteria are met, how can you expect me to take an opinion seriously? I stick by my review of this review... apart from the score. I think I gave it too high of one first time around. It's not great, but it's not bad either. The conflict is a lot more believable here than the previous two episodes I've talked about - as well as Percy and the Monster of Brendam - due to the atmosphere, and I personally think Henry was in character here. When there are sounds around you that you can't explain the existence of, you will become scared, no matter what you say. So yeah, to me it's just average. This had the potential to be great. Everything was there: the believable conflict, the great character interactions, the near perfect storytelling. But that's the problem: it's near perfect. Despite what fans say, I truly believe this episode could have worked with Toby. Remove the dialogue mentioning that everyone knew he was scared of the junction, and actually mention that it had been newly laid, and it would have been brilliant. 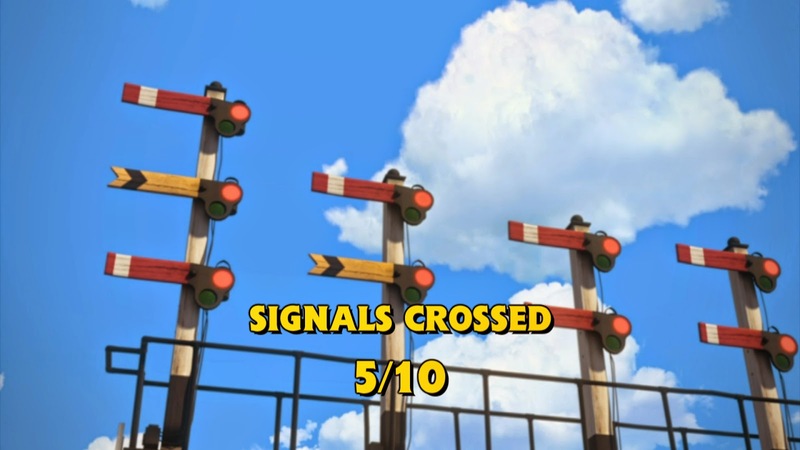 And yes, I do believe Toby would feel intimidated, because he's never experienced gantry signals before. It also could have worked if a newer character had been in Toby's place. Maybe a really small tank engine like Porter (if they'd given a reason why he was away from the docks). Rosie or Stanley would have sufficed as well. As for that little cameo? I really don't care, and people who are judging this solely on Ferdinand's appearance are extremely shallow. Ladies and gentlemen, welcome to Plot Hole City (well, Marion and the Dinosaurs was close to taking that crown, but this was the king since the story didn't hold up enough to hide them). I'm not going to rant on again about them all, but instead let's talk about the "contingency plan" thing I brought up. By this point, Spencer's VIP had aired on TV. Whether it was produced before or after this I'm not sure. But going in order that the episodes aired on TV (and, in this case, released on DVD) the Fat Controller has an award for services to transport. You'd think he'd know how to run a railway more efficiently than this. Maybe keep some coaches behind in case of emergency, rather than simply "making do". I highly doubt that he would allow one of the most important trains on Sodor to consist of two ancient four wheel coaches who hate life in the fast lane. And I highly doubt that Thomas could run his trains with one coach! In Overloaded from the Railway Series, Toby struggled with just Henrietta and he was only doing his usual job! It's episodes like this that make me think the writers are either confused as to which writing style to keep or they're just throwing logic out of the window to allow stories like these to happen. Either way, they need to get this problem under control fast because, while I don't think it'll revert to those days, watching episodes like this will become more and more infuriating in the future because we know they're capable of better quality, more coherent episodes than this. This episode is great... until the ending. I originally gave it a 7, but the ending is so bad, I deducted a point. I wouldn't have minded it if there wasn't a scene after Hiro brought them back where things could have been wrapped up a lot better. No one received any consequences for their actions. While I understand why Caitlin didn't (to an extent), Charlie, nor the worker who coupled Annie and Clarabel to Caitlin's coaches, were brought to account for what had happened, meaning they'll probably make the same mistake again. Heck, the worker from this episode was probably also used in Samson At Your Service (it wouldn't surprise me)! I mentioned that this plot was similar to Thomas and Gordon in the review, but in retrospect, that did this plot much better. There, Thomas was slow to fire up, causing him to be late to the platform with the coaches. Since the porters and other workers were busy getting everyone on the train as fast as they could, it would be understandable that they'd forget to uncouple Thomas. And his ride behind the train was enough of a punishment as he'd learnt his lesson. Here, there was no rush to get Caitlin's train ready, so the workmen came across as stupid (I'd say Charlie did too, but the series has established that he's extremely laid back). It's a shame, too, as the rest of the episode was well put together. 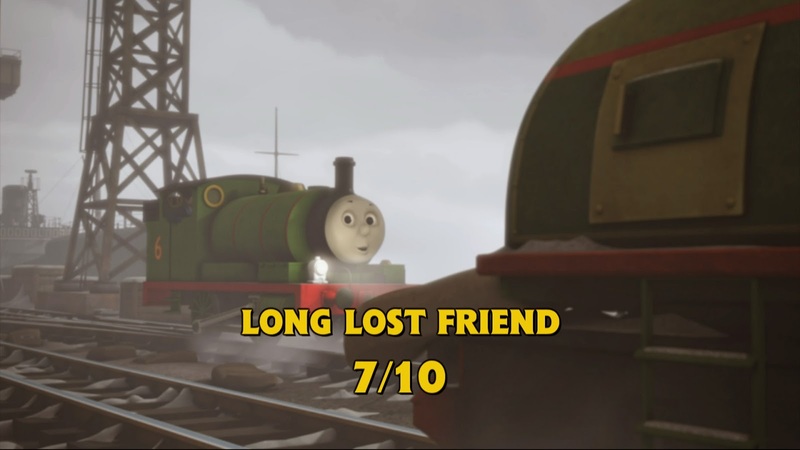 I don't think this episode is too bad, but out of all the episodes that received a 7/10 rating, it's definitely one of the lower end 7/10s. It does tell a good, heartwarming story, and it brings Gator's arc to a nice conclusion, but I can understand why fans would think this was boring due to the repetition. That said, it was weird that, although Gator came back for Christmas, he was only seen here. This is definitely the best episode that feels "unrealistic" because I can actually believe the things that happened here a lot more than other unrealistic episodes. Not only that, but the story felt a lot more complete than the others on the Dinos and Discoveries DVD. The only real problem here was the contrivance from a railway standpoint. But there's nothing more to say about it; it's a really fun watch with a nice story. Andrew Brenner's strength lies within the slice of life stories, and this was a prime example. That said, out of all of his slice of life stories, this is one of my least favourites. It's not bad by any stretch; the plot is OK, the humour's good, the characters are fantastic (except maybe Percy, who felt slightly shoehorned) and it was great to see the character who messed up realise it in a natural way. But it just didn't feel as entertaining as his other efforts. This is one of the better Dinos and Discoveries episodes if you ignore the gaping plot holes. I like how Marion was handled here. And yes, I can believe her attitude here completely. The first time she saw the models, it was dark. They were quite a distance away, the flatbeds were covered by the trees and the ambience would make things feel rather intimidating for anyone. As for her being scared in the day? Sleep deprivation can mess with anyone's thought processes. Despite that though, the dinosaur models do look pretty realistic, so it would feel like more of a surprise if she wasn't taken aback by what she was seeing. 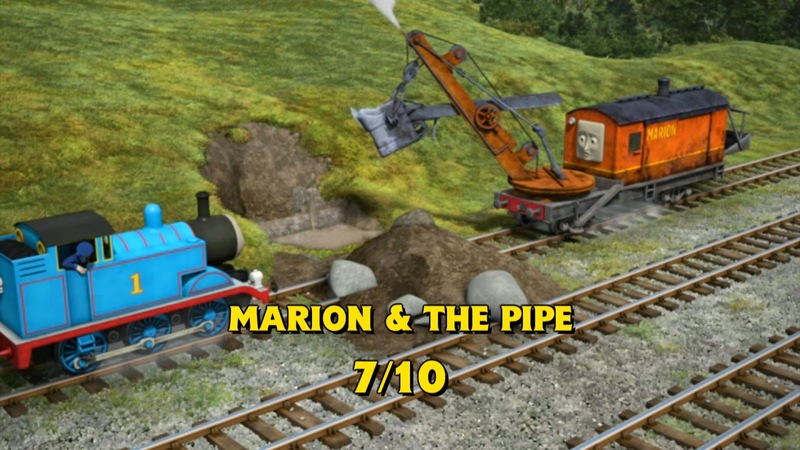 This episode made Marion a more rounded character as far as I'm concerned. Chatty, hard working, proud of what she does, but also rather clumsy. It's a bit of a shame they didn't do any more with this section of track, although the pipeline probably would have restricted the story potential. One thing I didn't notice in my actual review: why was the embankment being repaired? It doesn't really say, and nothing's shown, so it just seems like they're digging at a perfectly stable hill. If the writers have to improve somewhere in future series, it's to make the catalysts of the stories consistently strong for each episode. For me, the arc revolving around Gator was really intriguing. While Long Lost Friend ended it on a slightly disappointing note, this episode was great. Yeah, I can still see the complaints that it's similar to Tale of the Brave, but as far as I'm concerned, this was the perfect follow up to it. Like I said in the review, it's easy to be brave when you know your friends are in the vicinity, but it's a testament to how brave you are if you can be courageous when there's no one else around to help. Hopefully, this is the end of Percy needing to prove his bravery. If it is, it was a brilliant way for that part of the saddle tank engine's personality to be laid to rest. It's a bit of a shame this episode isn't really liked by most fans. I didn't expect it to be in fans' best of lists, but it does still tell a good story. And it shows that you can celebrate Christmas in many different ways, which I think is really nice. It's sad that people think that, just because you don't have huge outdoor and/or indoor displays, you don't like Christmas (for the record, you can blame its commercialisation for that!). So this episode felt like a breath of fresh air for me, even if it's a rehash of Salty's Surprise. 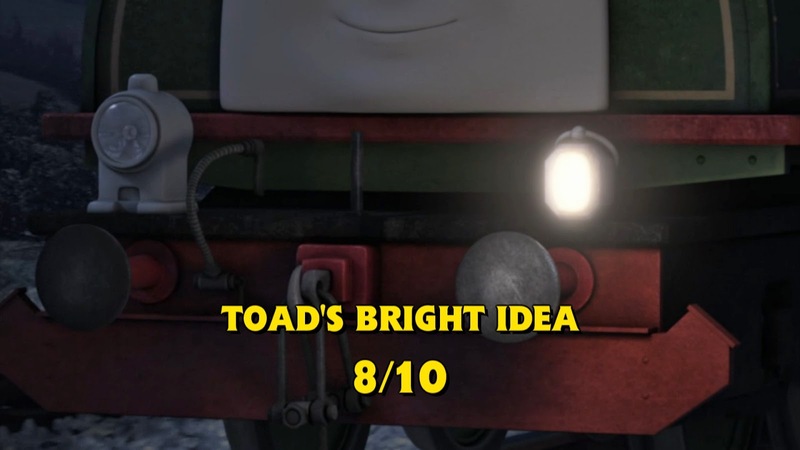 This was a brilliant way to bring Oliver and Toad back into the series. 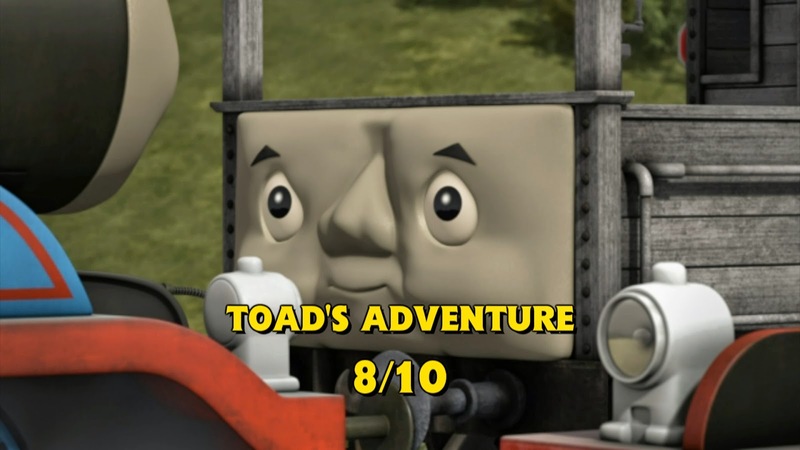 Oliver's boasting revealed to kids what his nature's like (even if that should've cooled after series 4, but I digress) while Toad's portrayal was excellent. I said in my review that that this was better than Busy Going Backwards and I stand by that. 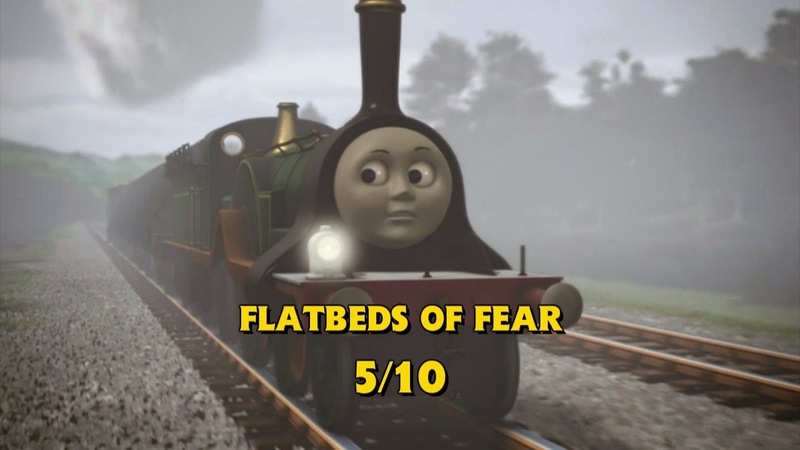 Both episodes bend the laws of probability, but while it's completely bent in the series 5 episode (Toad would never have gone that far, even with no guard to apply his brakes), here it's a slight twitch (it takes a while for Toad to get from the top of the hill to Thomas' buffers). Other than that, there's nothing else to add, really. It's just a really solid episode with a nice ending. I was a bit harsh on this episode in my initial review. While I do still think it's pretty illogical that Thomas would be forced to run the branch line with only Clarabel, looking back, the bird watcher acknowledging what he'd done wrong was enough for a kids show. Besides, it does teach kids not to call an emergengy when there isn't one. It was also a really good way to teach kids that two wrongs don't make a right, which is a brilliant moral for kids to learn these days. And for me, the whole episode can be described with that one word: brilliant. While I liked Toad in Toad's Adventure, I loved him here. He was an excellent foil for Gator, and it also showed that you should sometimes listen to someone with experience, which is a very strong moral. I suppose I'd better talk about Gator's arc. It was a lot better than Samson's. There were some inconsistencies here and there, but the stories told within it were relatively strong, and while I think Long Lost Friend is the weakest part, and a really disappointing ending, it did tell a coherent story throughout that never felt contrived. The only main problem it had was Gator's appearing feeling rather convoluted in terms of railway operations. Overall though, I'm glad they tried to make two arcs this series. Hopefully they try again in the future, and hopefully it will be a lot stronger than Samson's and better than Gator's. 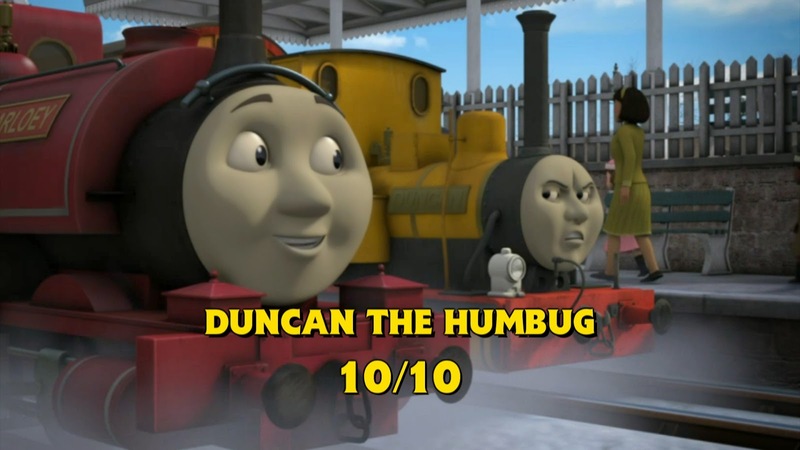 This was one of the most entertaining episodes of the series, The morals were great and seeing the interaction between the passengers was great, especially at the end where Duncan apologises for something he knew he did wrong. The only thing I thought was off-putting, on reflection was a similar problem I had with Samson At Your Service: no contingency plan. I really don't believe that the Skarloey Railway has only six coaches. But this was a more entertaining watch, so it was more a distraction than anything. This episode gets this rating with a warning: do not keep using Paxton's naivety as a constant catalyst for a story. It's going to start getting really old, really quickly. At least here, it was more believable than it was in The Lost Puff where it felt like he was stupid more than naive, but as I say, they're walking a fine line. I won't mind if he keeps his naivety in secondary roles as it can be varied a bit more, but it will get annoying if it becomes overused. 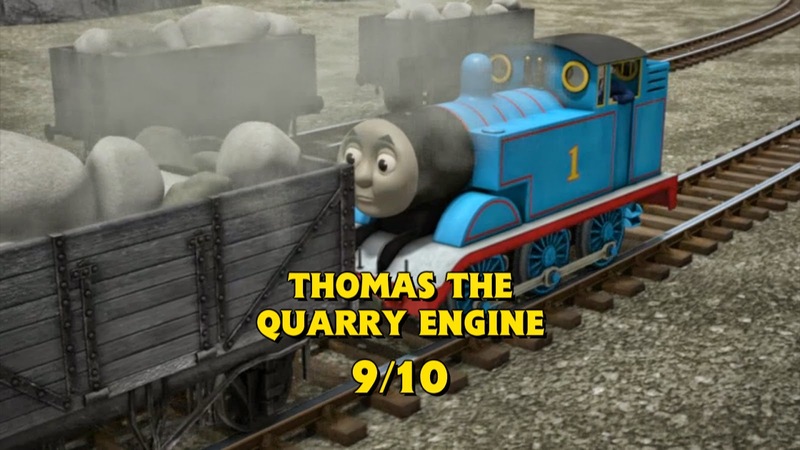 This was definitely the most entertaining episode of the series, and it actually got right what Timothy and the Rainbow Truck got wrong: its character interactions were brilliant throughout. Timothy is a brilliant foil. He plays off Bill and Ben (and vice versa) brilliantly. But when he's alone for a long time, he just isn't too interesting. The kind hearted oil burning engine - despite the contrary being stated here - has been done by Victor, while his pride in who he is, while admirable, is similar to Porter.. I'm rather hoping he comes into his own in future series. The term "modern classic" has been used to describe a few episodes since the new team took over, and the next three would definitely fall into that category for me. With this one, the classic references were great, and adding that the brake van couldn't hold them was a nice touch as well. 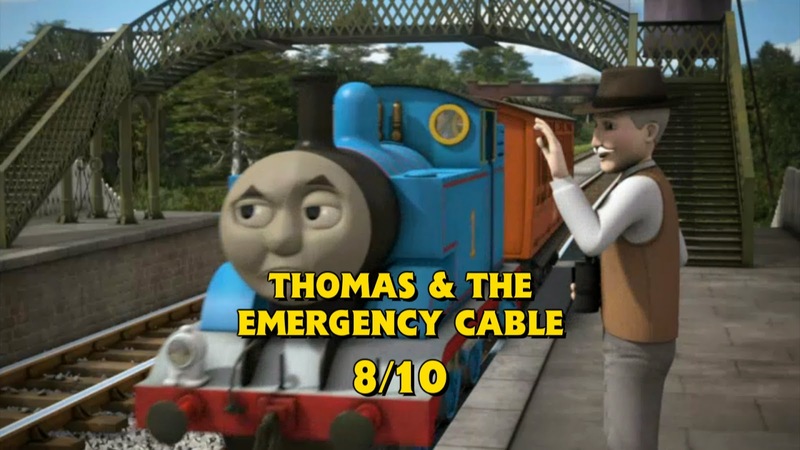 It was something that hadn't been mentioned episodes like Thomas and the Trucks, even the original, so I was glad that it was mentioned here. And while, yes, Diesel and Mavis' sub-plot was repetitive, but it actually worked pretty well as it showed a nice little clash between the two. The more I watch this episode, the more I appreciate what it did, chiefly because it taught a brilliant moral to the character that should have learned it. 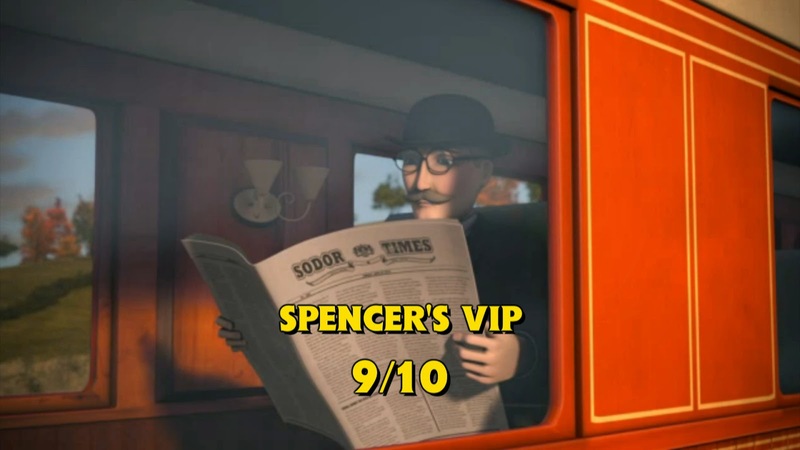 We've seen many episodes where Spencer has been rather arrogant in the past, and the only one that really did a good job was Gordon and Spencer. But that was more an episode that tried to bring Gordon down a peg rather than teaching Spencer anything. Here though, Spencer is the one that's overconfident, he realises that it wasn't the best way to get the job done and we see him going through some inner turmoil, showing that he'd truly learned from his mistake. His predicament was also a nice reference to Wrong Road. And I can believe that every engine can get overconfident in the same way. Remember, every time an important person came to Sodor, everyone became extremely arrogant, thinking they'd get the job. Like I said, it's a brilliant episode with a great moral. This is, by far, the best series opener the show has had, and it's the episode that made me realise that Andrew Brenner understood the old characters completely. Yes, you could say that he should know that Thomas has a branch line to run and yeah, I'd agree with that. But for me, that contrivance doesn't detract from the story that was told. It redeemed a fan favourite character and it taught kids that you should never take your friends for granted, which was lovely. I saw a comment on my initial review that the moral would be a "bad influence" on kids, which I don't really understand. Not fully, anyway. 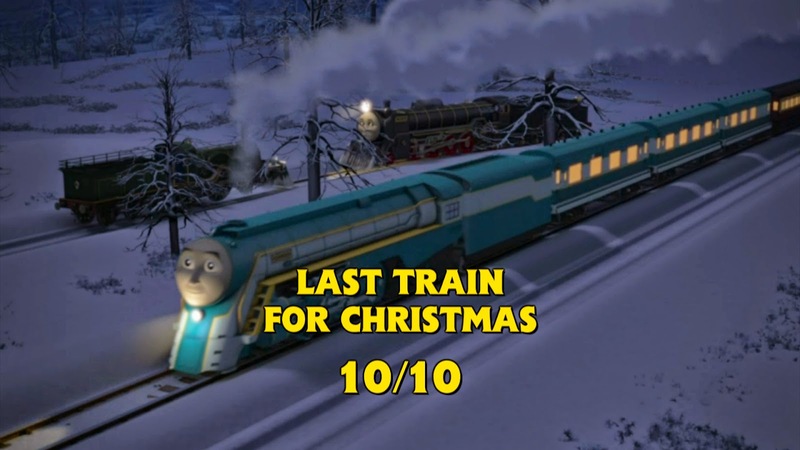 I do think that Rusty's comment was a bit too... general, rather than focusing solely on Duncan's attitude at Christmas. But Duncan and Mr Percival's comments made up for it, I think. The Thin Controller was trying to force someone to change their ways, which is something you really should not do. Sure, you can guide them to change, but the more you try and force, the more they'll fight back. 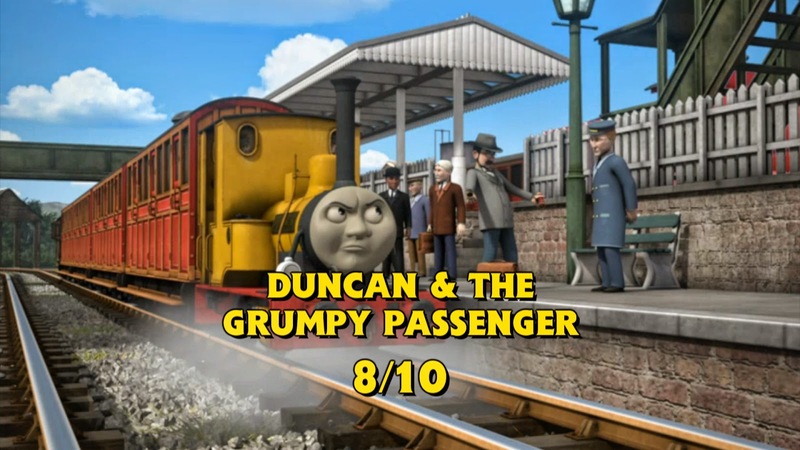 Remember, Duncan's change was extremely forced throughout the second act, with a false smile and everything (for the record, his reactions were pretty funny). He was only genuinely happy after he helped Luke after shouting at him. His own actions made him see what consequences they had, and he vowed then to turn things around. It was a genuine moment, and it was the moment that made me think the moral it taught was admirable. So yes, I stand by my review of this episode, and I stand by the score I gave it. Have you ever made a couple of lists only to regret your decisions soon after they were released? Yeah, that's how I feel here. Because after further viewing, I feel that the final episode I've featured in this post was slightly better than this, and to be honest, that's all down to the "joke" with Emily. I'm not going to say what it is since pretty much everyone knows what it is by now. Instead, I'm going to explain how a mean spirited scene works. The set up here was done very well, with Emily feeling bad that there were no spaces left. The best way to end it is to have the (protagonist) character that was hurt come out on top - in this case, giving Emily a space in the shed. But that didn't happen, and to this day, it still leaves a sour taste in my mouth. That said, the joke had nothing to do with the plot, and the story, character interactions and the Duck's back story were done so well that it more than makes up for it. But my number one pick has much more as far as I'm concerned. Someone was rather surprised that I picked up on the scene with the kid on crutches, while mentioning a story in the British media about a FirstGroup bus refusing to allow a disabled person on a bus because there was a buggy already in the space. 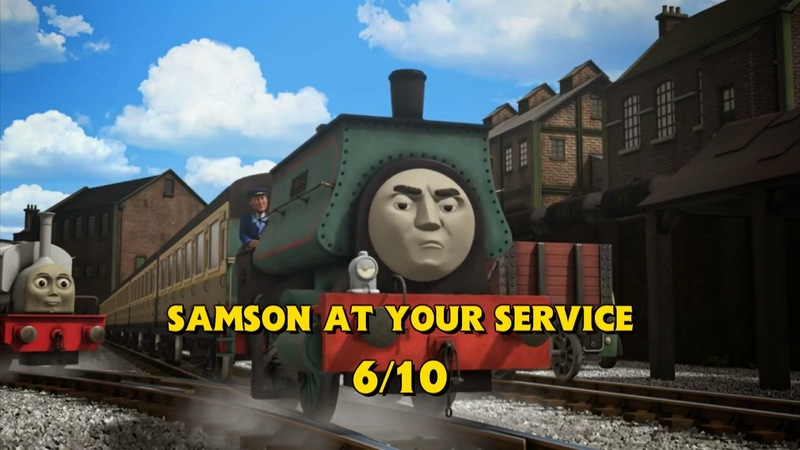 I didn't reference it in the original review because I kept in mind that this episode was produced long before that incident made it into mainstream media, so it felt a bit unfair to criticise it too much for not capitalising on that opportunity. Also, every engine was hell bent on getting every passenger home, which made me forget about that completely. 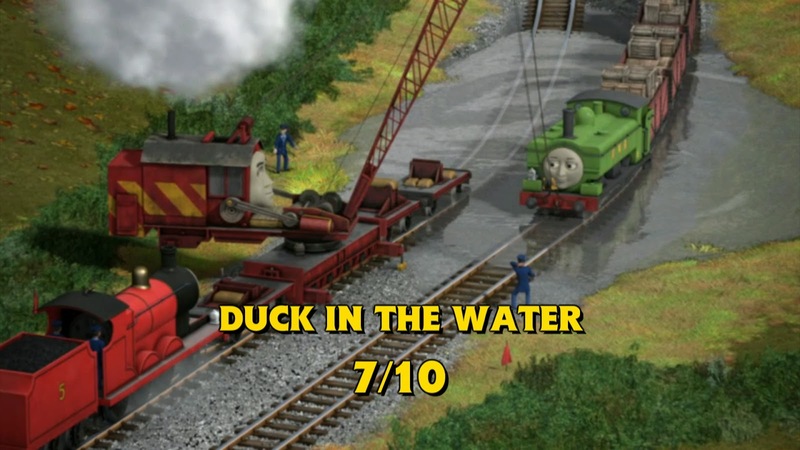 I've also seen people complaining about those who think Duck and Oliver's appearance was pointless. For me, the reason is simple: the exposition is unnecessary to Oliver. Yes, kids probably won't know how the North Western Railway operates at Christmas, but Oliver has worked there since 1967 (or 1992 if you're going by TV continuity). He should know what the process is! For this to be more effective, they should have included a newer engine, who may not know how things work, like Porter or Gator. Revealing exposition to characters who should already know what it is makes it seem like they're stupid. One thing I didn't pick up on was the Fat Controller looking at the family that embraced when he was announcing the snow had blocked the main line. It's an extremely sweet moment, and the fact that he could empathise with that family, and the struggles of the other people getting home, made the moment all the stronger, which really touched me. All in all, this episode was utterly beautiful. It's my favourite episode of the series and my second favourite of the entire show. @Thomasfan1992 the stereotype goody-goody that so many characters seem to be now. He's actually got a bit of depth to him. Overall, I like..
@Thomasfan1992 do with a few more improvements. @SodorR3D characters and plots. S18 did have a dud or two but nothing another episode could shine on! 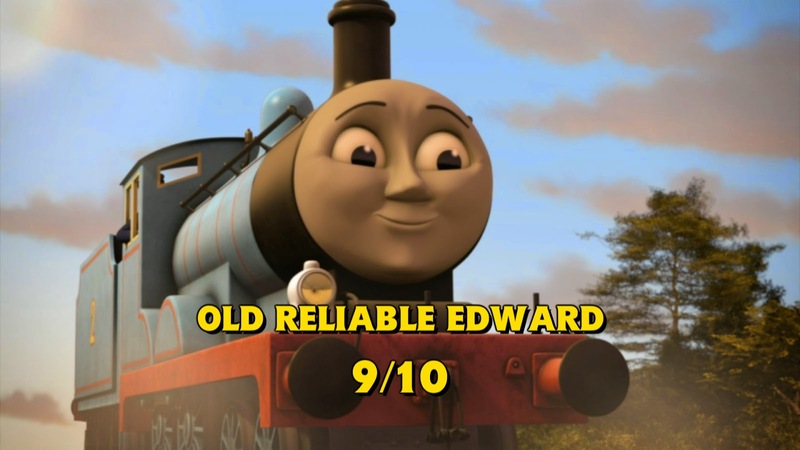 It also did things better than even..
#ThomasSeries18 is a brilliant, no ,amazing series with brilliantly written episodes and amazing animation well done to everybody ! @SteamTeam3211 We had the introduction of Samson and the Slip Coaches, both of which were huge assets to the show I feel! I don't know how much better #ThomasSeries18 would be than S17. Needless to say, I was blown away! Here's to a flawless S19 (with drivers)! This series was to series 17 what fans thought series 16 was to series 15: a vast improvement. Yes, there were a couple of duds, but the worst episode here was much better than the worst from the last series. The best episodes here were also much better here than series 17. After all, this is the first series I've given three episodes a perfect 10. Unfortunately, I don't think it's as good as series 2 though since I only gave one episode from that series less than a 6, but this series had five. 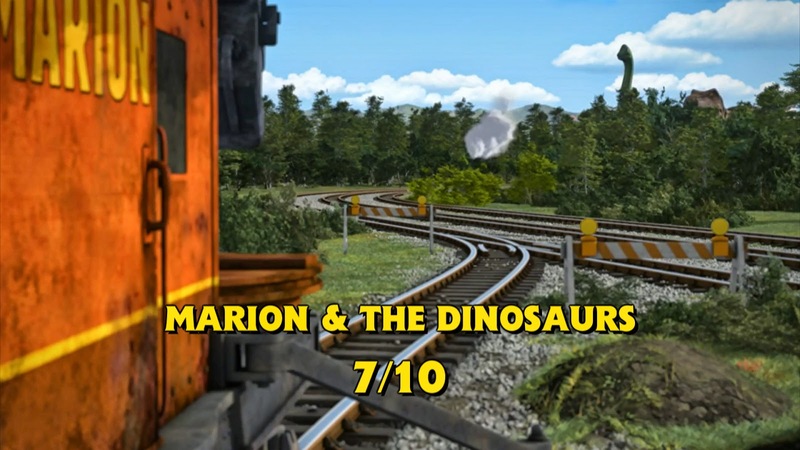 That being said, the high scoring episodes here would fit right in with the best from the classic series and, heck, the best Railway Series stories. Samson, for me, is on a knife edge as far as likeness is concerned. Up until Samson Sent for Scrap, he was a fantastic character. It was a nice change of pace to see a character like him, but it only goes so far before he becomes a bad character (I don't mean an antagonist; characters can be brilliant while still being bad guys). You see, good characters usually learn lessons. Even Diesel has learned a few over his time! He told lies to get rid of Duck, but since he was found out and sent away, he hasn't told another. He's also learnt that steam engines have their uses. 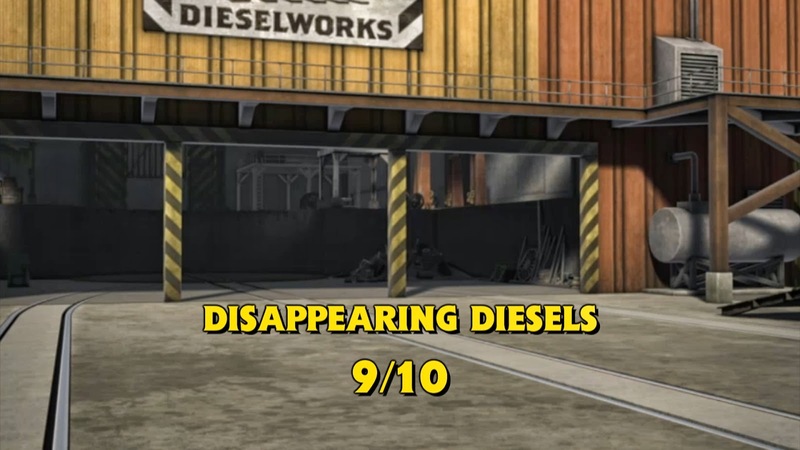 Diesel 10 learnt that patience is a virtue. Samson has never learnt from his experiences! It was understandable that he hadn't learnt from Marion and the Dinosaurs in Samson At Your Service because he couldn't have known what had happened (his driver and fireman could, but that's another story). It was also made clear that he was trying to prove himself when no one would believe in him. That was completely negated in Samson Sent for Scrap as he was still as stubborn as he was when he arrived! Hopefully Samson does end up learning from his mistakes soon, because I really want to like him. The animation here was brilliant as well. Sure, there were eras here and there, but they didn't really detract from the overall look. Some of the shots were absolutely breathtaking, especially on the narrow gauge railway, the angles and panning shots continued to push what the CG era is capable of. It's a bit of a shame there was a change of directors halfway through as I would have liked to have seen more of what David Stoten was capable of. That said, Don Spencer did a brilliant job while he was at the helm too, so I'll be looking forward to more great direction from him in the future (if he sticks around). Overall, the show is definitely on the up, and I'm really excited for things to come this year. With a 44 minute special chronicling the back story of the TV series coming to the UK in April (ASDA exclusive), Sodor's Legends of the Lost Treasure coming in August and series 19 coming soon after that, it's a very exciting time to be a Thomas fan! But to be fair, The Afternoon Tea Express isn't the S17 finale. Santa's Little Engine is, which I personally think is a perfect way to end that season. Don't know about S18 yet though. Despite being a fan of SSFS, I don't think that'd be a great ending for this spectacular season. I truly hope Emily Saves the World is. 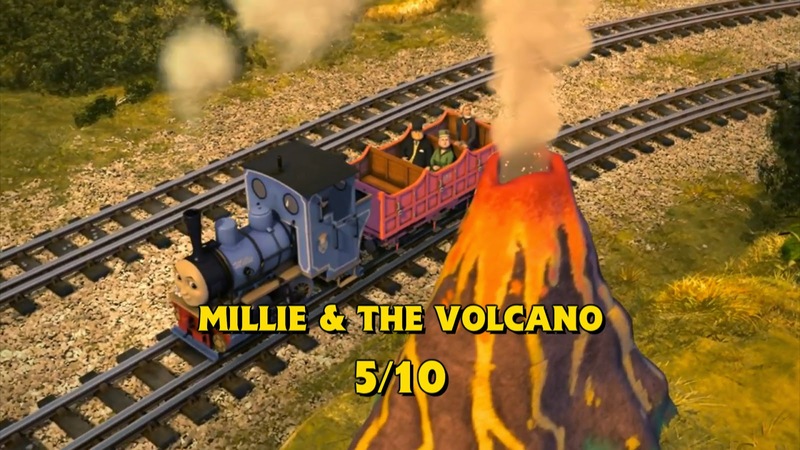 But if the Japanese airing order is anything to go by, it appears to either be Millie and the Volcano or Samson Sent for Scrap. There's no doubt MATV would be the better ending of those two. We used to agree about Not So Slow Coaches, but not anymore :P I love the ending, and I'm no fan of people getting punished for making a mistake. I'm so glad someone agrees with me about The Perfect Gift. It's a real shame fans dislike it so much, just because it's a rehash of Salty's Surprise. I prefer Samson's Arc tbh. 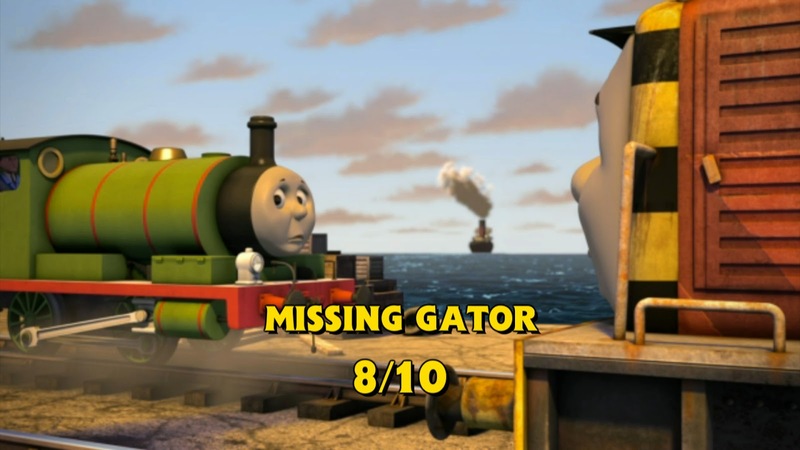 I like the stories much better than Gator's, and watching them in a specific order, it kinda feels like reading a RWS book. I usually watch them like this: Marion and the Dinosaurs, Samson at Your Service, Samson Sent for Scrap and Millie and the Volcano. 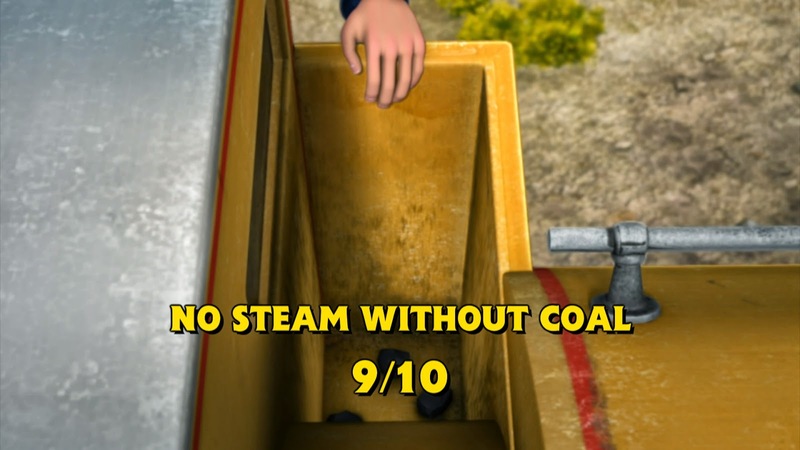 I'm not that impressed with No Steam Without Coal tbh. Too predictable for my taste. While Ben's face at Timothy cracks me up, I laugh at Timothy and the Rainbow Truck way more. 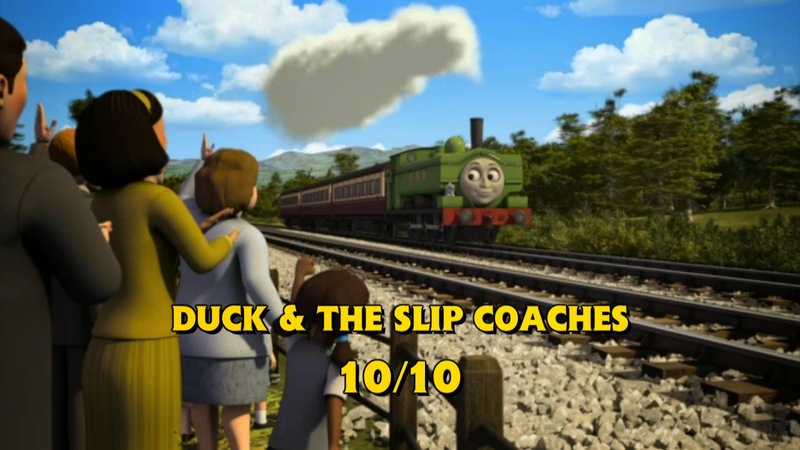 My favourite episode of Series 18 has to be Duck & The Slip Coaches. 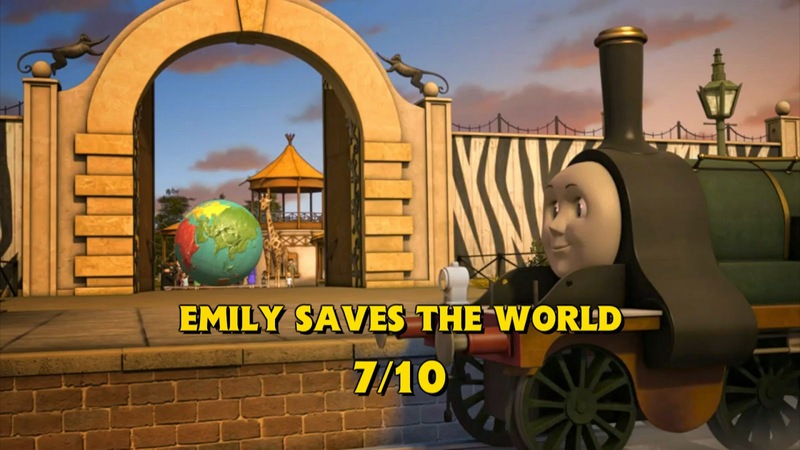 The dialogue was great, the characters were in form - everything about spoke out "Modern Classic" and (some may say) "RWS material". And the "Emily Joke"? I didn't get wind from it personally but I understand why it might affect some people. However, the lengths and comments that fans have said about the incident is taking it to the extreme! 1. Henry backs into the berth when Emily misses out on the First Come, First Serve opportunity to get a berth to sleep in. 3. Therefore, Duck takes the Moral High Ground and Emily gets her place back - this makes Duck popular with fans once again and it could kindle a new friendship between Duck & Emily - something which has never been done before in the Series and destroys the so-called "Duck V.s Emily Rivalry". 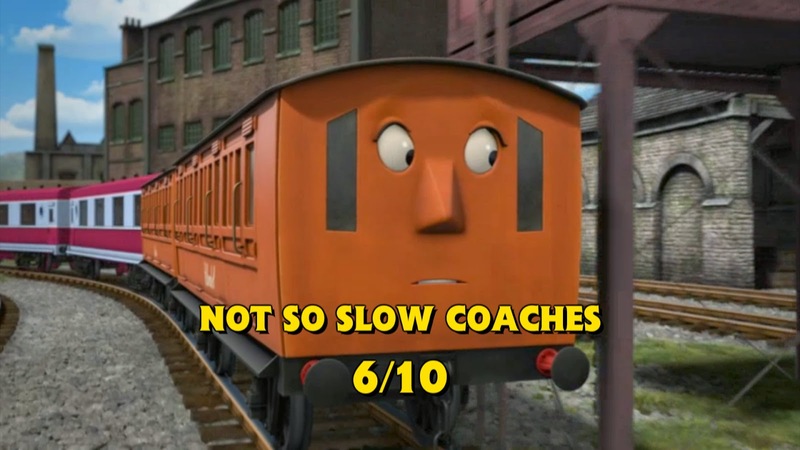 My least favourite would have to be Not So Slow Coaches. It was either that or Signals Crossed (the latter having towards the end of the episode rekindled Toby's wise and clever persona (FINALLY!)). With NSSC, it was an okay episode, it had its moments but it is not an episode that I would choose to watch out of choice. 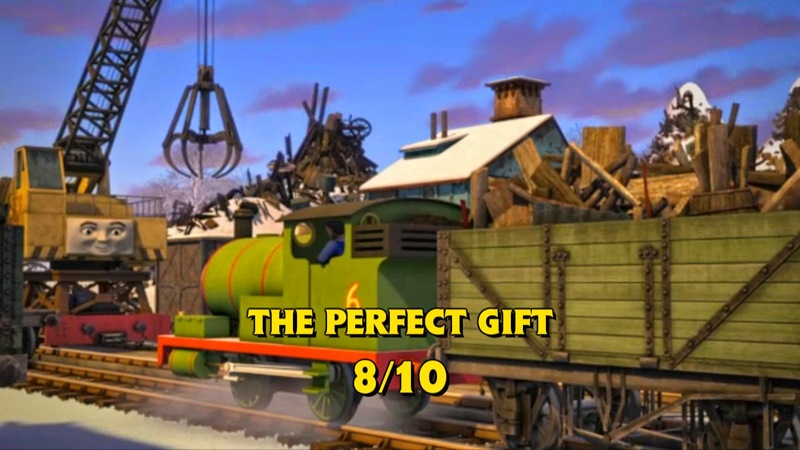 Given choice, I would prefer to watch episodes with a bit more plot like Last Train For Christmas, Old Reliable Edward, Spencer's VIP or even Duck In The Water. Therefore, it is my least favourite.